We love every part of this job! 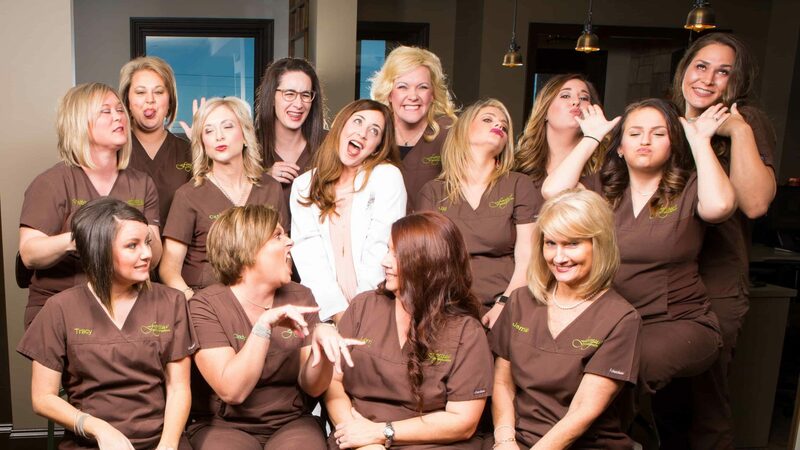 We love what we clinically get to do for people’s smiles, but more importantly – WE LOVE OUR PATIENTS! We love having the opportunity to get to know our patients and their families a little more every time they visit. That’s one of the best things about being an orthodontist. It’s like having a house where everyone you love just comes to visit you from time to time! For us, if we don’t care about our patients, their families, and their outcomes, then why do this job? It’s our patients that make this job so special! We want perfection for every patient. We want people to feel compassion all while getting a beautiful smile. We want our office to be a place you look forward to. If you are relaxed and feel at home, then we’ve succeeded! Jonesboro is a loving and caring community, and our patients reflect that. We look forward to coming to work every day to see your smiling faces.